Here we go again. Due to the lack of photos from the beginning of the week, I have done a double whammy for you for Friday’s outfits. You lucky things, you! My favourite look is definitely Friday morning’s. Let me know what you think! 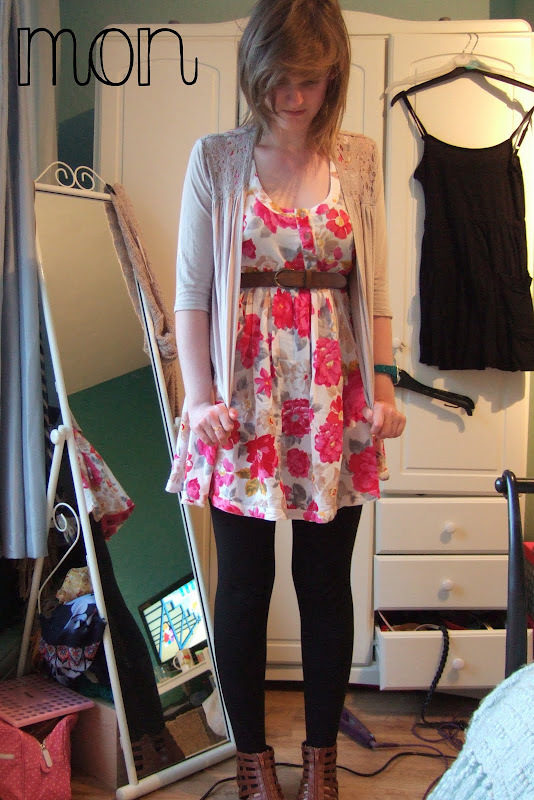 Cardigan – Primark, Dress – Miss Selfridge, Belt – Primark, Leggings – Topshop, Sandals – Dorothy Perkins. 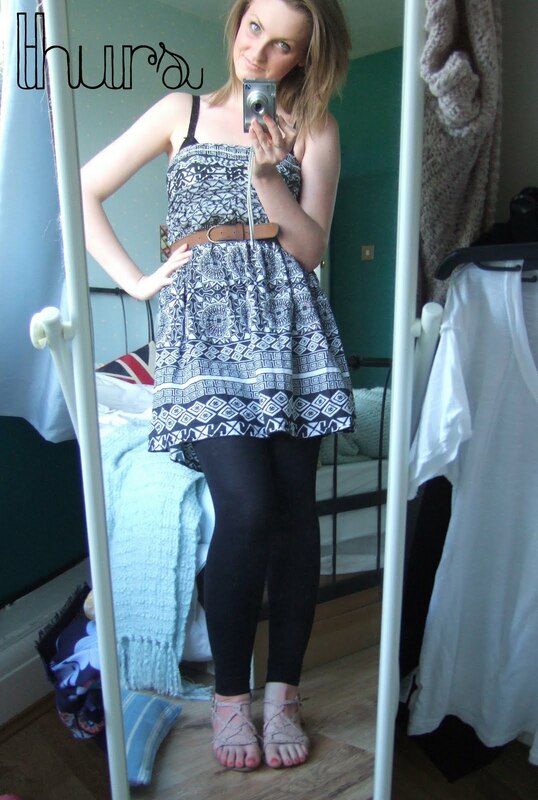 Dress – Primark, Leggings – Topshop, Belt – Charity Shops, Sandals – Dorothy Perkins. 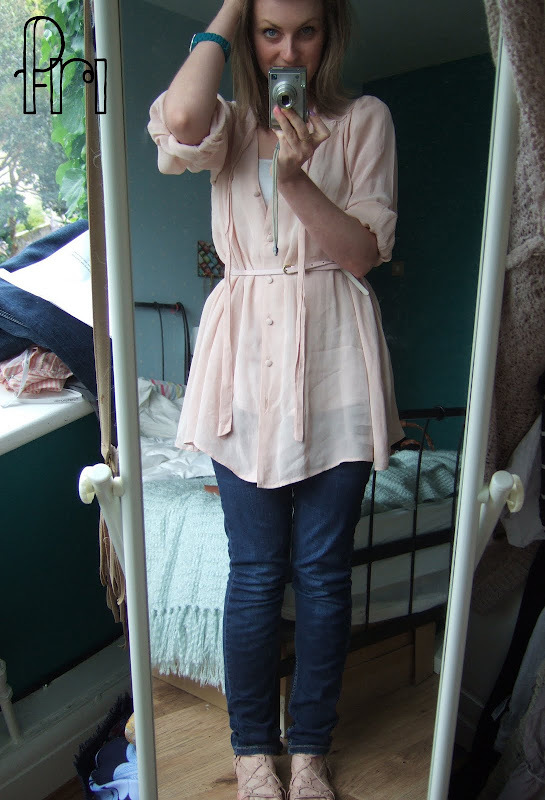 Fri morning: Tunic – Topshop, Vest – Dorothy Perkins, Jeans – Topshop @ ebay, Belt – ASOS, Sandals – Dorothy Perkins. 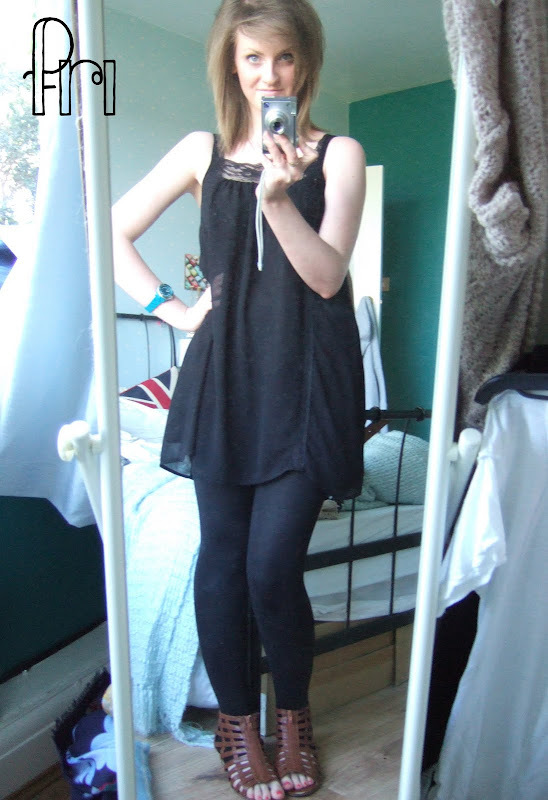 Fri evening/work uniform: Dress and Leggings – Topshop, Sandals – Dorothy Perkins. 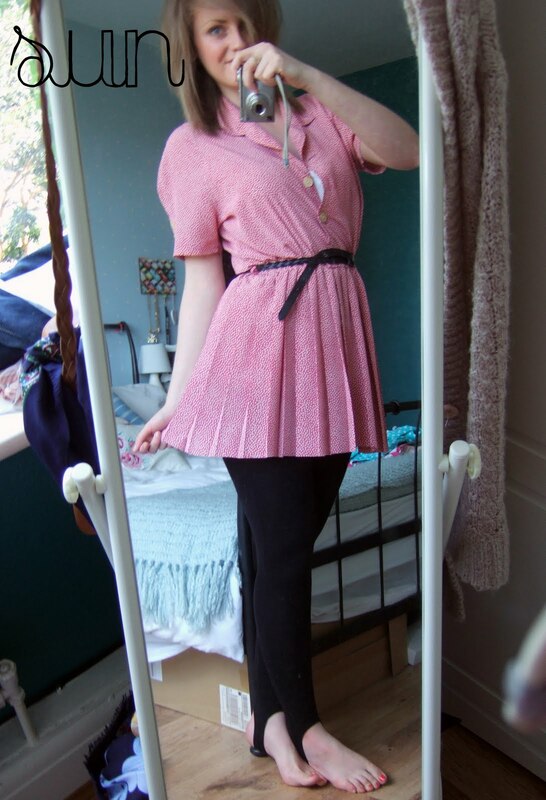 Dress – Vintage from ebay, Vest – Topshop, Leggings – Miss Selfridge, Belt – Primark. Thanks for looking, and make sure you enter my giveaway! Not long to go now! Just click HERE to go to the post. I really like your first outfit! Very summery. I am in love with the Topshop tunic, i want ittttt! Im gonna have to say I like Mondays the best – so cheerful and summery! I love your first outfit! love the floral print dress!